Famous for handlebars and stems. 3ttt 70s catalog writes, “3ttt stems represent the finest achievement in the world in this specialised component. Strong yet light, lovingly hand forged and engraved by Italian artists in metal”. 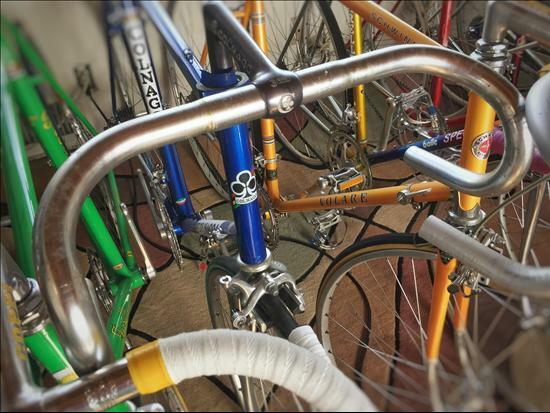 The Torino, Italy based company began manufacturing handlebars & stems from aluminum, a shift away from steel, making them a favorite amongst the Italian bicycle racing community. Bars were shaped with various bends and named after the various champions who had both contributed to their design and ridden their namesakes to countless notable victories. (1) Record Grand Prix drop bars, weighing 315gr. “… for general sport or racing”, available in the ‘Merckx’ bend, also referred to as ‘Tour de France’.